We shared a dream to one day leave the rat race in Johannesburg and move to the country and travelled far and wide to find our little piece of heaven. Finally after many years of searching, we came across Koedoeskloof. The 2 hectare plot of land is situated in a country setting and surrounded by beautiful landscapes, fynbos, aloes and other cultivated agricultural land and has an awesome view of the Towerkop mountain peak. We're an owner run business, with only the two of us, and two support staff. As owners our daily duties vary between sweeping the veranda, cleaning, gardening, event management, preparing breakfasts and making our own finely-tuned homemade burger patties for the evening meals. We were ready for our first guests 5 weeks after we arrived here from Johannesburg almost 5 years ago. This took some doing but we are both driven and dedicated so it was as perfect as we could get it for their stay. The first guests really enjoyed their stay and promised to be back. They commented on our style and decor, which is pretty unique. It doesn't clash with the surrounding Karoo veld and fynbos, but rather compliments it with its crispness and simplicity. We both love travelling. Eugene travelled quite a bit in his youth and also worked in Switzerland in a mountain resort restaurant for almost 12 years. I worked in PR, Promotions & Advertising for over 21 years. We are both keen motorcyclists, more specifically off road adventure biking or dual sport as some refer to it. I am a novice rider, and Eugene, well just say, it's his preferred and most loved form of transport and has been for most of his life. 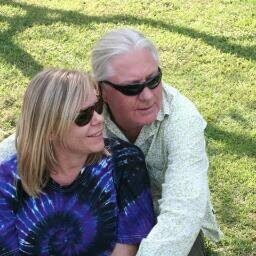 We are very chilled and relaxed people, ex city goers but much more country in our veins than city. We love the simple things in life and put old fashioned values like honesty, integrity and respect, first. We don't have children, just three wonderful dogs. Gaya (12) the Springer Spaniel and Chilli (almost 6), the Ridgeback, who is the most handsome liver nosed dog, and Salsa (almost 4), the latest addition to the family, she's also a Ridgeback (we think). 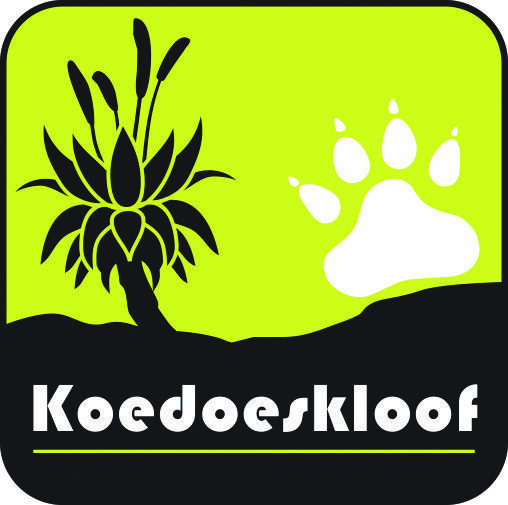 We welcome you to this area, which is still pretty undiscovered, and invite you to come and share our home and our love for the country and the Klein Karoo.